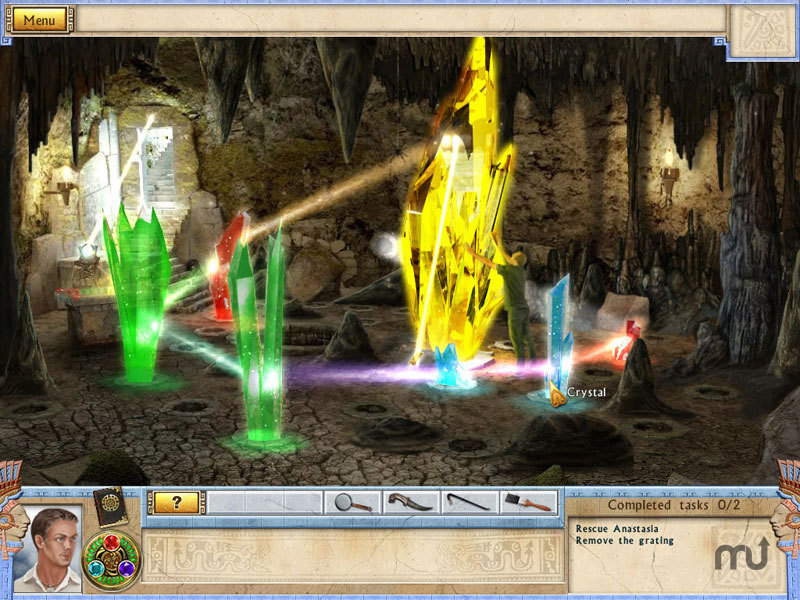 Hunt the Crystals of Fortune in this thrilling hidden-object game. Is there a better alternative to Alabama Smith In The Quest Of Fate? Is Alabama Smith In The Quest Of Fate really the best app in Puzzle category? Will Alabama Smith In The Quest Of Fate work good on macOS 10.13.4? Alabama Smith In The Quest Of Fate sees our hero back in an all-new time-twisting adventure involving powerful relics that could alter the destiny of mankind! Join Alabama and his girlfriend, Anastasia, as they hunt for the elusive Crystals of Fortune using the Amulet of Time. Jump back and forth between the past and the present to solve mind-bending puzzles, search for cleverly hidden objects and stop a shadowy nemesis from finding the Crystals first! Alabama Smith In The Quest Of Fate needs a review. Be the first to review this app and get the discussion started! Alabama Smith In The Quest Of Fate needs a rating. Be the first to rate this app and get the discussion started!